Everything for Your Dream Wedding! Attend the Winter Bridal Extravaganza at the Davis Conference Center in Layton. Visit wedding vendors and enter for a chance to win a dream wedding sponsored by The Davis Conference Center and several northern Utah wedding vendors (must be present to win). The Davis Conference Center show gives you the opportunity to walk around and view the beautiful displays and meet with hundreds of Utah’s best wedding vendors as they showcase their products and services: bridal gowns, tuxedos, wedding venues, catering, hotels and honeymoon destinations, florists, photographers, decorations, wedding planners, spa retreats, beauty specialists, music, and more! Our amazing vendors are ready to please a variety of tastes and budgets. 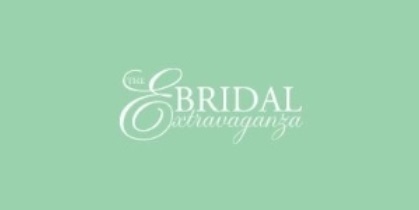 The Bridal Extravaganza shows provide the opportunity to win thousands of dollars in one-of-a-kind show specials. In addition to the great day-of-show discounts, prizes, and booking incentives offered by the vendors! Complete the Register Online Now! form (click below). Before you SUBMIT it, please print or take a screen shot of the page.